Bulk hot cocoa mix is perfect for foodservice restaurants, convenience stores and beverage vending operators. 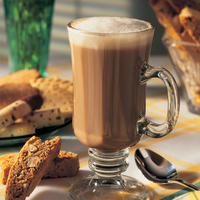 It is a rich, creamy hot cocoa mix that makes a dark and delicious beverage to be enjoyed anytime. Can be used to fill a vending machine hopper or measured out to make single serve beverages. Gram throw is recommended at 24 grams per 6 fl oz of hot water but can be adjusted to taste. Each 2 lb bag of Hot Cocoa makes approximately 38 6-oz servings. 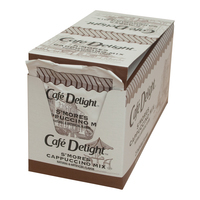 Try the full line of Cafe Delight brand of hot cocoas and cappuccinos.